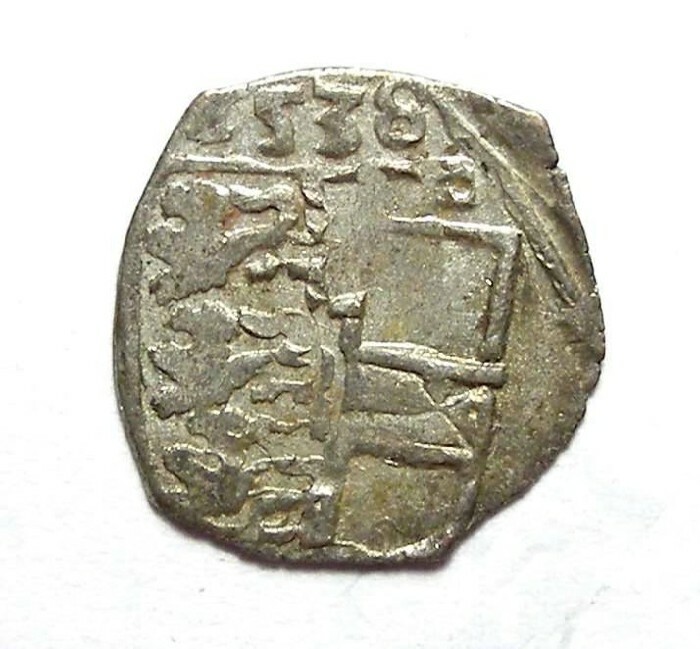 Austria, Dukedom of Karnten, Ferdinand I, 1522 to 1564, billon pfennig. Dated 1538. Size : 12.8 x 14.4 mm. Weight : 0.40 grams. Grade : VF, slightly double struck. Obverse : Shield with 1538 above.